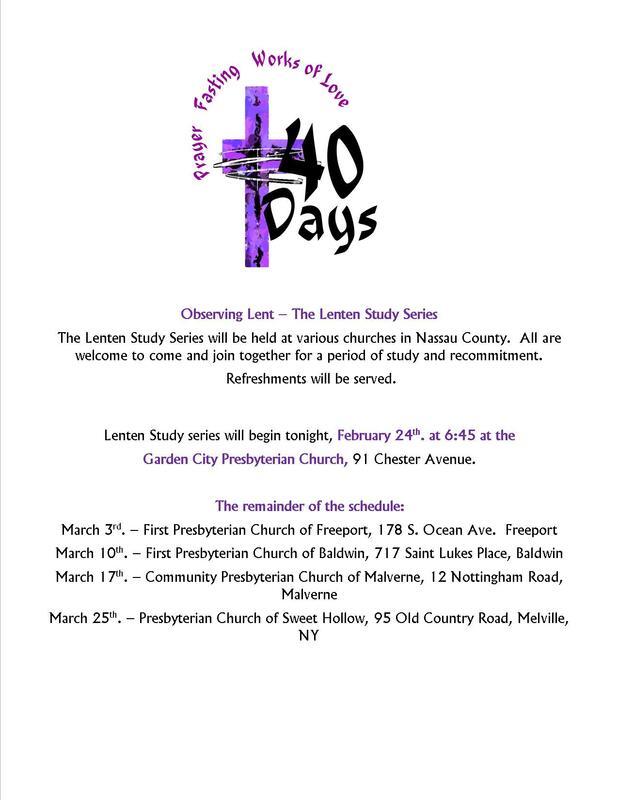 The Lenten Study Series will be held at various churches in Nassau County. All are welcome to come and join together for a period of study and recommitment. Refreshments will be served. Lenten Study series will begin tonight, February 24th. at 6:45 at the Garden City Presbyterian Church, 91 Chester Avenue. This entry was posted on February 24, 2015, in Upcoming Events and tagged Christ, easter, eat, eater sunday, faith, jesus christ, lent, lenten series, observing lent, pray and study. Bookmark the permalink.